It’s safe to assume by now that most of us have explored all of our subclasses. We’ve probably settled into a comfortable build, focused on collecting and maxing a variety of powerful weapons, and not gone back particularly often to try new playstyles. However, how do we know that we’ve got the right builds for the right situation? When should we use Bloom over Embrace The Void – Solar Wind over Flame Shield? This article is going to attempt to address the optimum perks for PvE and PvP content, giving attention to overlooked and niche builds. If you’ve got your own preferred build, be sure to share it with us! If you’d like more tips and tricks for a particular subclass, check out these guides. 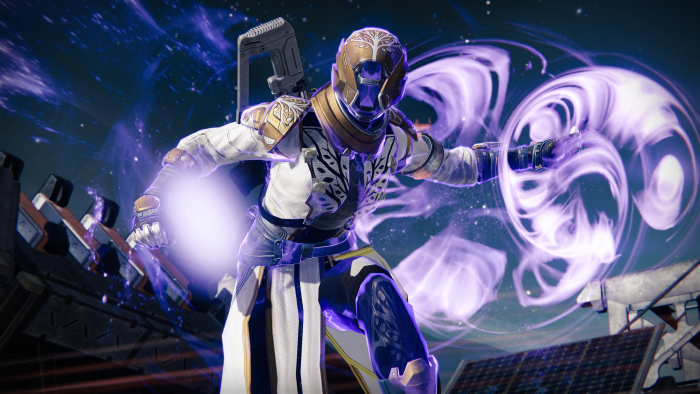 We also have Exotic Warlock armor reviews. What is a Class “Build”? A “build” is the selection of talents you choose from your character. It’s the process of carefully selecting your perks and weapons to suit your playstyle. You’ll want to play around with different combinations to suit different circumstances, it all depends on how you prefer to play. We also have recommend subclass builds for Titans and Hunters. This build is all about high damage output and survival. Firebolt grenades are the trash disposers; a single burst of solar energy will shoot out in different directions, snagging up to three enemies with moderate damage. These can be used to judiciously handle clusters of non-major enemies, especially under Radiance. Their utility is mostly limited to wave clearance, however, in PvP these are excellent in finishing off weakened foes or creating pressure at control points to significantly cripple a defense from afar. Under Radiance, they become even more deadly, especially when coupled with Touch of Flame and/or Viking Funeral. Radiant Skin is the ultimate defense for Sunsingers. In addition to the impressive base damage reduction under Radiance, Radiant Skin grants even more, allowing you to shrug off lethal hits and keep the grenade pressure on. It is an excellent selection for confident Sunsingers who don’t expect to need Fireborn. Flame Shield: a screamingly effective panic button, offensive force, and survivability tool all wrapped in one. It provides an overshield without requiring a kill, allowing a Sunsinger to escape or stay in the fight with ease. High Strength investment allows for very frequent up-time on this ability – a boon that may cause some Sunsingers to rethink their stat allocation. With the Warlock’s generous melee range, it’s usually fairly safe to land this even on more dangerous enemies, and it is thus equally useful across all content. In PvP, it practically trivializes close-range encounters if you can land it, and is a one-hit-kill under Radiance. This build focuses on supporting your teammates to the fullest. Fusion Grenades are the absolute epitome of DPS: when stuck to a target, they provide massive single-target damage that is outstripped by very few things in the game. A generous explosion radius gives them usefulness in packs as well. They have generous magnetism for ease of use, and you’re practically guaranteed a kill being allowed to spam these in Radiance. Consider Focused Burst for areas in which you expect to take lots of fire or need to move quickly, or in Crota’s End if taking the role of Swordbearer, as you’ll be able escape the Big Bad with that much more efficacy. Song of Flame works to drastically increase the cooldowns of your fireteam members within a certain radius of yourself, while also still providing to you the baseline cooldown reduction that Radiance normally grants. It is best used by teams that are coordinated – playing close together and communicating ensure that everyone is aware when it is active and are able to use their respective grenades/melees to really put offensive pressure on your foes. Viking Funeral adds a few extra ticks to Touch of Flame, forcing solar shielded mobs to remain without their shields for a little while longer. This can be excellent against Wizards or Cabal bullet-sponges, giving you a few seconds longer to line up your Icebreaker headshots before those shields come back in full force. Solar Grenades are perfectly suited to area denial, crowd control, and big damage on big targets. They have a steep learning curve, benefiting from Energy Projection for increased distance/control, but are quite effective in the right hands, keeping enemies at bay. Fireborn allows for aggressive and tactical play, and is often a key facilitator for many Raid strategies. In PvP it can be used to great effect in Skirmish, Rumble, and Control, catching unaware opponents off-guard, often resulting in a two-pronged assault on an enemy team. Radiant Will adds a few precious extra seconds to Radiance, meaning a couple of extra grenades and time wherein you take less damage. This equates to higher DPS and survivability, desirable traits for both PvE and PvP alike. Gift of the Sun provides a second grenade, a universally desirable benefit that is hard to ignore. With smart use of Radiance and appropriate gear perks, its cooldown can be refreshed frequently, leading to near-constant uptime on at least one grenade. A build every Voidwalker should know, if you want to use your super as much as possible, use this gear and these talents. The Scatter grenade is an explosive that releases a cluster of Void “mini-bombs” when it impacts a target. The damage dealt depends on how close the target is to the bomblets when they go off, as there are several miniature waves of explosions after the Scatter grenade impacts. Soul Rip gives an impressive 10% bonus to your super meter when you kill an adversary with Energy Drain. If you are focused on Strength and Intellect, Soul Rip can improve your Nova Bomb frequency significantly as long as you are aggressive about downing weak foes with Energy Drain. Bloom causes any foe killed by any of your grenades, Nova Bomb, or Energy Drain to explode. This talent will turn your Energy Drain into an explosive high-five, and scatter enemies taken out by Nova Bomb for even more potential destruction (and thus super energy). Built to shred through minions of the Darkness, this build is perfect for PvE content. You’ll want to try and stay at a distance, far enough to make use of your multiple Void Bombs. The build is focussed on targeting many enemies at once. Use your AoE damage from the Scatter grenades whenever possible. In any grenade-focused build, Annihilate can improve your overall damage output. This will give you a bit more room to score some kills, since your enemies don’t have to be as close to each other if your explosions are bigger.If you don’t have access to Skull of Dire Ahamkara, which provides “The Hunger” talent, then you may want to opt to use The Hunger in this build. 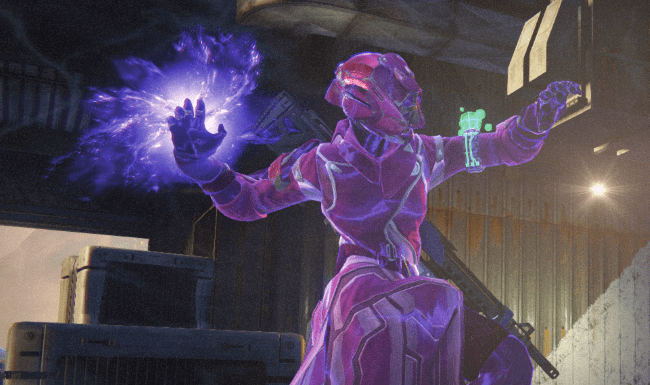 Embrace the Void is an extremely powerful talent that causes all of your Nova Bomb and grenade hits to trigger the Energy Siphon buff, refreshing your grenades faster. A build for aggressive, kill hungry players who want to focus on area denial in PvP. You will need to be confident with Blink to strategically outmaneuver other Guardians. Vortex grenades work quite well for area denial, especially with the Vortex Mastery talent, giving you a very long-lasting and highly damaging Void field to guard an area. Surge causes Energy Drain to max your Agility, greatly increasing your mobility and improving your gun-handling ability. It lasts for 15 seconds, giving you plenty of time to make good use of its benefits. On a Strength-focused build, you can get good uptime on Surge, significantly improving your overall speed. Vortex Mastery adds 2.5 seconds to both Nova Bomb’s Vortex and the Vortex grenade’s damaging fields (as well as doubles the range of Axion Bolt seekers). In PvE, Vortex Mastery is often results in a simple damage increase; enemies within the lingering fields, particularly in enclosed areas, will take more damage than they normally would. Have a favorite build not listed here or in the video? Be sure to share it with us! What abilities do you prefer using, and why?